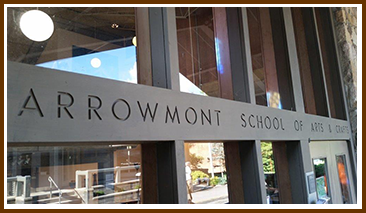 Arrowmont School of Arts and Crafts is a national art and craft education center located just one mile from the entrance of the beautiful Great Smoky Mountains National Park. The School offers weekend, one and two week workshops for the beginner to advanced artist, taught by national and international practicing studio artists and university faculty. Students work and learn in professionally equipped studios on our stunning 13 acre residential campus hidden in the heart of Gatlinburg, Tennessee. Workshops and classes are offered in ceramics, fiber, metals/jewelry, painting, drawing, photography, warm glass, woodturning, woodworking, mixed media, books, paper and more. Your e-mail addresses will not be sold or given away to anyone. The Blue Ridge Highlander logo, all photography, design, graphics, artwork, writing, digital images, etc are the Copyright © of C. Wayne Dukes and Sherry Bell Dukes. 1996 - 2018, except where otherwise stated. All rights reserved, reproduction, downloading, and/or duplication of any sort is strictly prohibited, all violations will be prosecuted. Legal Policy. If you have any questions, or comments, regarding this site, e-mail the Highlander.